Bio | Robert C. Brucato, Esq. Rob Brucato opened the Buffalo Office of Counsel Press in 1992 and has continuously managed it since that time. With 25 years of experience, he has personally been involved with several thousand appeals, primarily to the Appellate Division First, Second, Third and Fourth Departments in New York State, the New York State Court of Appeals and the United States Court of Appeals for the Second Circuit. Mr. Brucato is very involved with multiple legal organizations and associations in the upstate NY region. He has presented CLE’s on appellate topics to the Bar Association of Erie County, the Monroe County Bar Association, the Western New York Chapter of the Women’s Bar Association of the State of New York (WBASNY), the Greater Rochester Association for Women Attorneys (GRAWA), SUNY Buffalo Law School Law Alumni GOLD Group, the Western New York Paralegal Association and the Paralegal Association of Rochester. 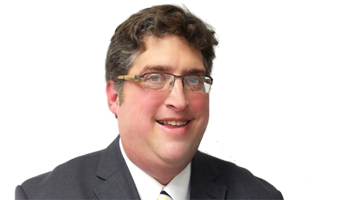 Mr. Brucato is very active with the aforementioned organizations and is a member of the Bar Association of Erie County, the Monroe County Bar Association, the WNY Chapter of WBASNY and GRAWA. Prior to joining Counsel Press, Mr. Brucato worked for a short time with the United States Small Business Administration, and was also in private practice with Maghran, McCarthy & Flynn, in Buffalo, NY. Mr. Brucato is also a member of the Board of Directors of the MedLaw Cancer Partnership of Western New York. Robert is a consummate professional and incredibly knowledgeable of appellate practice throughout New York. I have worked with Robert for several years on dozens of appeals in state and federal court and Robert and his team have always exceeded my expectations. Robert is detail-oriented and he is poised and in control when faced with time-sensitive constraints. I have complete confidence that when a brief leaves my office, it will be filed and served on time and in accordance with the applicable rules. Robert and his team have never failed and his customer service is tremendous. Robert's expertise is formidable, and it is rare that I have a question which he can’t answer off the top of his head. In those few instances, the rapport that he has developed with the appellate courts in New York permit him to quickly obtain an answer directly from the source....While Robert’s skill is impressive, it is his customer service that is truly unparalleled in the industry. He is expeditiously responsive and is proactive to a degree where he anticipates my needs before I am fully aware that they exist. It is with great confidence and pleasure that I can recommend Robert when you are in need of assistance in slogging your way through any appellate process. Rob isn’t just a liaison between his staff and me; he partners with me on appellate work to achieve the best product. He is an indispensable “extra pair of eyes” on appeals and appellate motion practice. His expansive knowledge about the courts’ rules and procedures and his devotion to his clients reduces the unnecessary stress connected to appellate work. He and his colleagues provide seamless assistance on all aspects of appellate work. Rob Brucato is a true professional, and his staff never fails to get the job done right. Chief Attorney of the Appeals and Post-Conviction Unit at The Legal Aid Bureau of Buffalo, Inc. Rob has never failed to get the job done, and done right - especially at crunch time, when everything was on the line. Thank you so much. The level of support and service that you and your colleagues have provided on this expedited and complicated appeal has been invaluable.